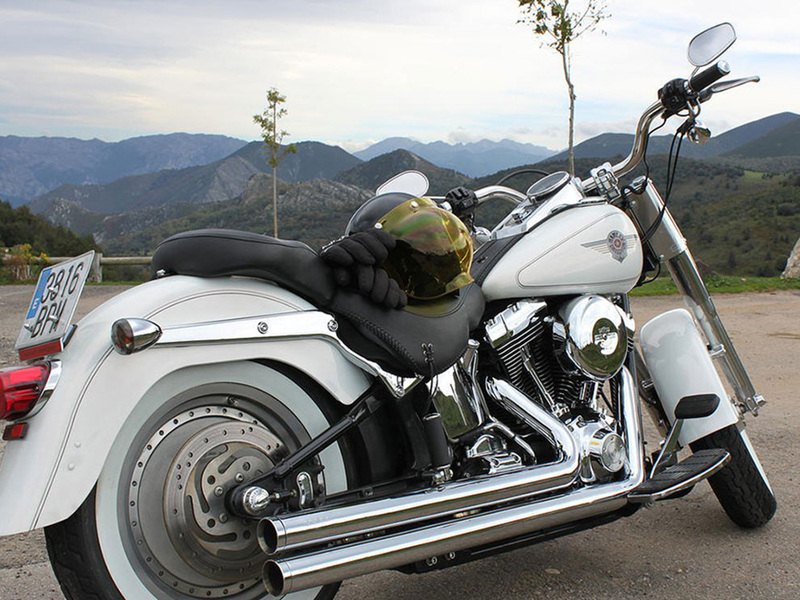 Spain is More offers a unique experience: the Camino de Santiago on a rental Harley-Davidson or BMW Motorcycle. As you tour around Northern Spain you will experience mountains, fantastic beaches, cliffs, idyllic villages, impressive cities and last but not least, delicious cuisine. This Camino often winds along small, rural roads making this an ideal, laid-back way to enjoy the Camino close up. 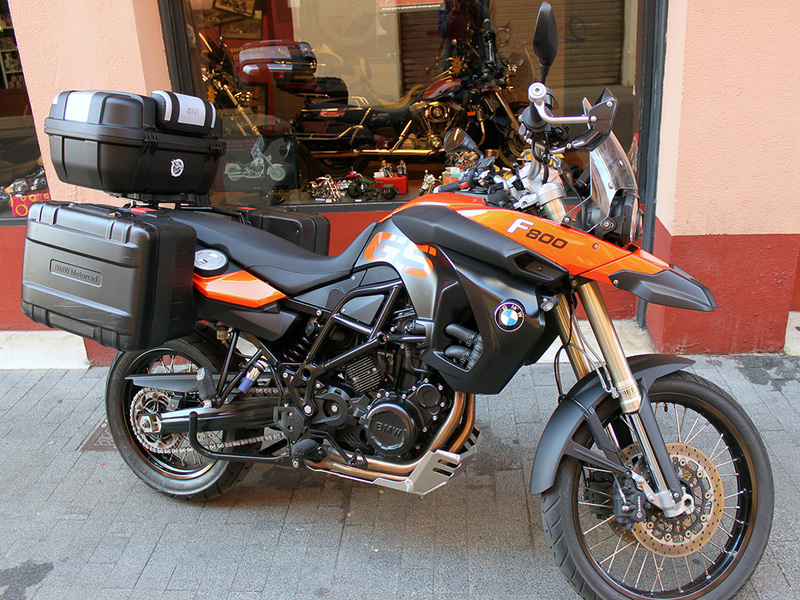 Spain is More offers a unique Camino experience on a Harley-Davidson or BMW Motorcycle. There are so highlights that make this trip unique. You can travel whenever you want and you are as free as a bird during the entire trip. Your comfortable and picturesque hotels will be booked in advance. And, after breakfast, you have the whole day ahead of you to enjoy and personally create memories mounted on one of the five styles of motorbikes available. The tour always starts in León, where you arrive from Madrid on the high-speed train. Here, you won't want to miss visiting one of the most beautiful and largest cathedrals in Spain, as well as a number of impressive monuments that bear witness to the city's more than 2000 years of history. 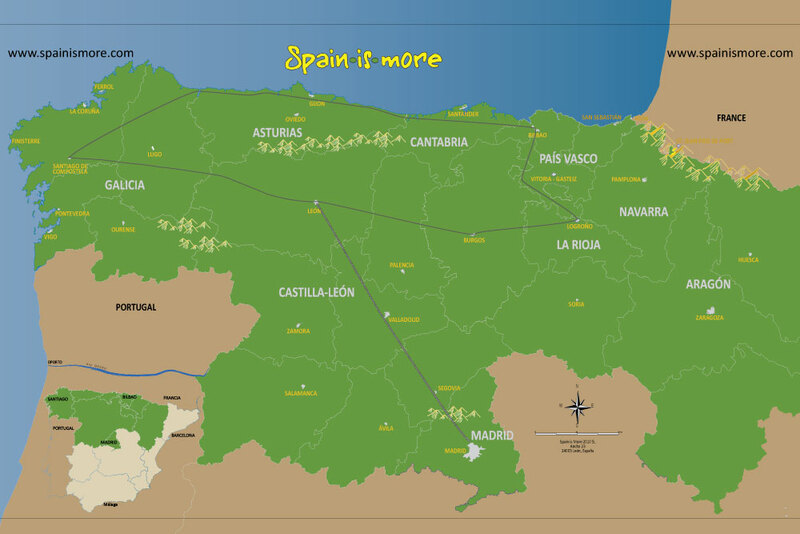 Note: The trip can be planned according to length, route and desire as long as the trip begins and ends in León. Shorter day trips, more nights, specific places, other itinerary than the intended .... everything is possible. Get more nspiration on this page. Old Town, León is a splendid example of the genuine Spanish atmosphere that you will experience throughout this trip: lively, cheerful and filled with cosy restaurants, bars and squares where people can sit back and enjoy life. It is exactly what you can expect for the next few days - an opportunity to just enjoy life. The different stages have been planned for shorter direct routes, as there are still lots of possibilities for scenic landscapes and fantastic experiences every day. However, if you'd like longer daily journeys, it is possible to plan the route according to your preference. Welcome to the Camino on a Harley-Davidson! Price depends on motorcycle. See conditions in gray box below. Arrival to León, normally with high-speed train from Madrid (included in price). León's Old Town is filled with cozy restaurants along its winding streets in the historic part of the city. In the enclosed Spain is More Guidebook, you will find our recommendations for the best restaurants and most special experiences. León is filled with fabulous monuments, such as the Parador de San Marcos, San Isidoro and not least of which is the magnificent Cathedral of León. Discover autentic Spanish atmosphere and please come by Spain is More's office, in the middle of the old quarter, just a few steps from the cathedral. You will pick up your fantastic motorcycle in the morning. 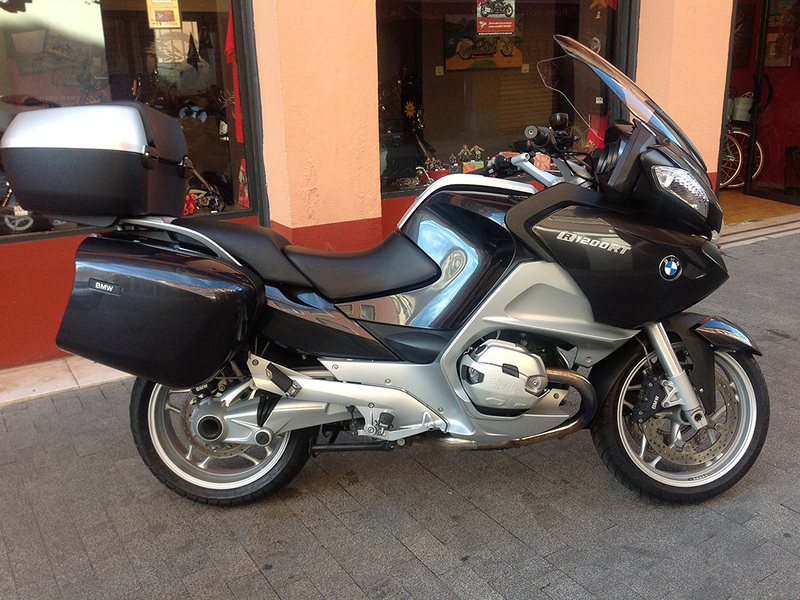 It will be ready and in perfect condition for your adventurous tour through Northern Spain. On the road - head west along the most interesting stretches of the famous Camino Francés. You will receive maps, route-suggestions and guide materials before your departure. You will have time for some very scenic detours, so the length of your journey can be suited excatly to your wishes. This day could include visiting a beautiful medieval bridge in Hospital de Orbigo, the Bishop's Palace of Gaudi and Cathedral in Astorga, various authentic and beautiful villages, time in the peaceful countryside, great food, winery visits, seeing an old castle and some famous Camino-landmarks, and always sightseeing along the idyllic, winding roads. It's an ideal motorbike holiday. The day ends in the beautiful village of Villafranca del Bierzo, where you have the opportunity to visit one of the local wineries in the emerging wine-growing areas of El Bierzo. Step inside one of the two beautiful churches in the town, or perhaps just enjoy the charming square. In the morning, right from the beginning, you start climbing up towards the stone village of O Cebreiro, which is a natural place to stop. There is a monastery, trails that lead through the forest and a somewhat hilly and beautiful landscape that provide the setting for the remaining part of the trip to Sarria. If you want to spend more time on the road, we recommend visiting the town of Lugo, where you will find the best preserved Roman city wall in the world. Here you need to park the motorbike and go for a walk along the wall around the ancient part of town. If it were not for the Camino, this region, famous for its octopus and numerous decorative Camino motifs, would be entirely hidden away from the eyes of tourists. Luckily, the Camino gives travellers the opportunity to experience this enchanting region which is one the most idyllic and authentic place you will ever visit. You suddenly find yourself in Santiago de Compostela, with its majestic cathedral. You immediately fall in love with the town’s charm: The cosy maze of streets, the well-kept buildings and the international atmosphere that is partly due to the many students and partly to the thousands of pilgrims which each year end their pilgrimage here make up Santiago's unforgettable atmosphere . The trip to the "End of the World", or Finisterre, is a Camino in itself - the Camino de Finisterre. This is a beautiful journey through rural landscapes to the place which the Romans believed was the westernmost point of the known world - thus its name. Here you have the chance to visit the small town of Muxía, which is situated a little to the north, where you will see the church and can admire the natural landscape. The tour starts from Santiago de Compostela and goes north/west along the Camino del Norte, also known as the Coastal Route, as it follows the Spanish North Coast. Various roads lead to Ribadeo, either following the Camino itself or along the beautiful Rias Altas coast. Along the way you will pass Playa de la Catedrales, which is always on the list of the Worlds Most Spectacular Beaches, as well as some cosy villages.This rocky coast opens up from time to time displaying some of the most extraordinary Spanish beaches as well as revealing the ideal setting for some of the most idyllic fishing villages, such as Cudillero and Luarca, in Spain. You can also choose to travel inland along the mountainous Camino Primitivo to Oviedo. Oviedo is an ancient city of kings which continues to be majestic with impressive palaces, squares and lots of charm. The day end in Llanes, which is one of the coziest villages on the Spanish North Coast. In the summertime it's a town full of athmosphere with great beaches and restaurants. What else could one wish for? After Llanes you can visit various beautiful coastal towns such as Comillas and Santillana del Mar. There are a many picturesque villages in this area, and if you follow the Camino del Norte, you will pass through most of them. If you are travelling during the summer months, there are several opportunities to swim in the sea and visit various well-known Spanish towns, such as Laredo. Some of the most beautiful beaches in Spain are also found on this coast. Bilbao is in a category all its own. While here you should definitely visit the famous Guggenheim Museum and try tapas in many bars in the Old Town. After a lovely evening in Bilbao, the tour travels south and later west towards León. The beautiful hilly landscape in the area west of Logroño is classic wine country. Enjoy various prominent places worth visiting such as Santo Domingo de la Calzada and, of course, Burgos with its famed cathedral. The road from Burgos to León is quite flat, but there are many interesting places on the way where you can make a stop, such as some traditional villages and historic churches as well as other fascinating monuments. The motorbike is returned in León before 18:00, at the latest. High speed-train from León to Madrid (included). End of tour. 7 night in charming motorcyckle-friendly hotels (3-4 star authentic, great located hotels) - in double rooms. High-speed train Madrid - León (return). The price includes one Spain-is-More-Travel Guidebook per every 4 travellers. More copies can be purchased when booking for 20€ per copy, or 30€ per copy if you make the request less than 6 weeks prior to departure. * Valid driverslicens is guest own responsibility. See motorcycle specifications below. Most motorcycles have space for two persons. Price per 2 persons include 1 motorcycle. Inclusive in rent. : - Helmet(s). - Free milage. - Waterproof pants and jacket (not motorcycle-jacket). - Luggage bags. - Excess /deductible 1.000 euro. - Road assistance. Optional: Gloves 5 €/day. Motorcycle jacket 10 €/day. Intercommunication 10 €/day. Back support 5 €/day. GPS 10 €/day. Extra nights along the route are optional. Experience with and, of course, a driving licence (A) for, large motorbikes. All other conditions will be reviewed upon collection of the motorbike and signing of the rental agreement. There are small differences in the rental price of the various motorbikes. You get a small discount for renting a HD Sportster or a BMW 800 GS. Deposit of 1.000 euro is blocked on credit-card when picking the motorcycle. 300 km./day incl.. Price per ekstra km. 0,30 €.